If you're either a fan of Disney's animated show Phineas and Ferb, or you simply prefer your detectives have evolutionarily curious anatomy, you'll want to pay attention. 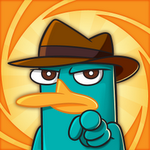 Where's My Perry? 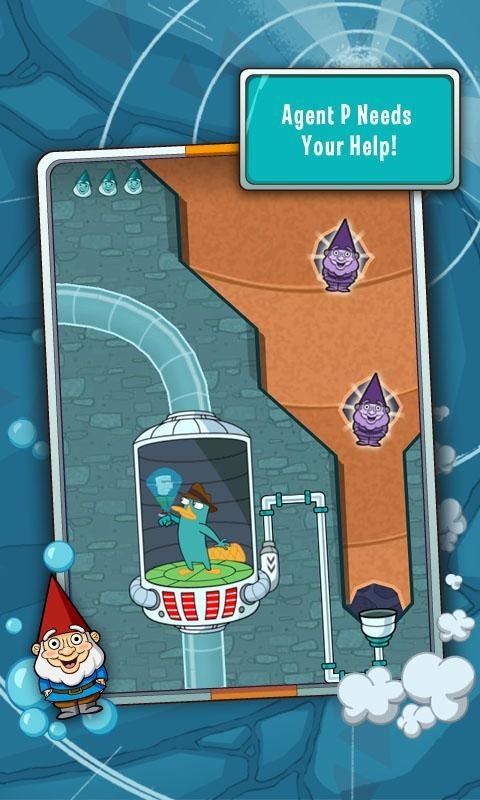 is a new game from Disney centered around Perry, also known as Agent P, a super sleuth that's just as comfortable on land as he is in water. 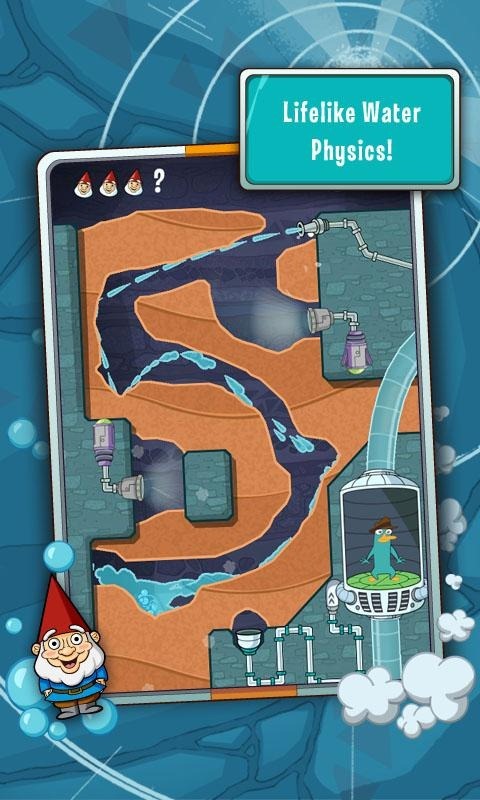 Which is handy, because you need water in all of its forms to solve the puzzles in this game. 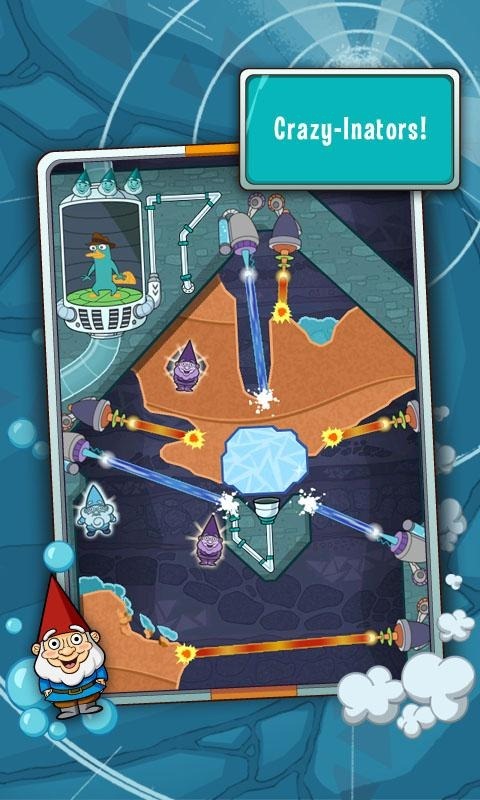 The game is actually pretty clever and great for kids, as you need to convert H2O between its various forms to complete puzzles by using various lasers. Oh didn't I mention the lasers? Yep. There's lasers. Including the "Heat-inator" which heats ice to water and water to steam as any proper laser would. Then there's the "Cool-inator" which has the reverse effect, making one question the accuracy of this games representation of "lasers" about as much as one would question the historical accuracy of any Disney movie. 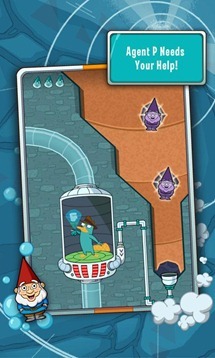 Nevertheless, in a world of teal platypuses, we can allow for the existence of a laser that turns water into ice. 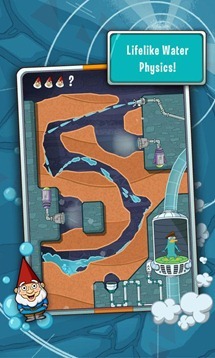 As if the name and gameplay wasn't already a giveaway, this game is very much Where's My Water with a more synergistic theme. 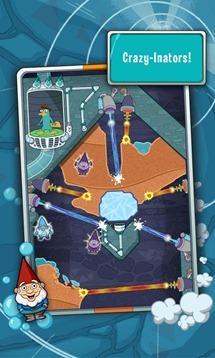 Still, 80 new puzzles for 99 cents isn't a bad bargain. Widget below and all that.